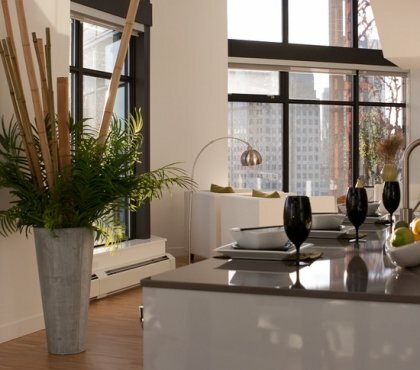 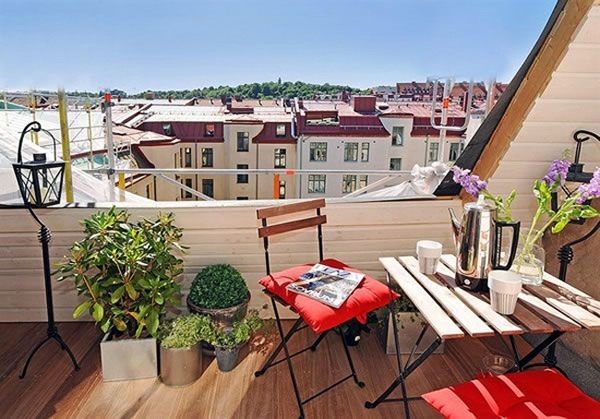 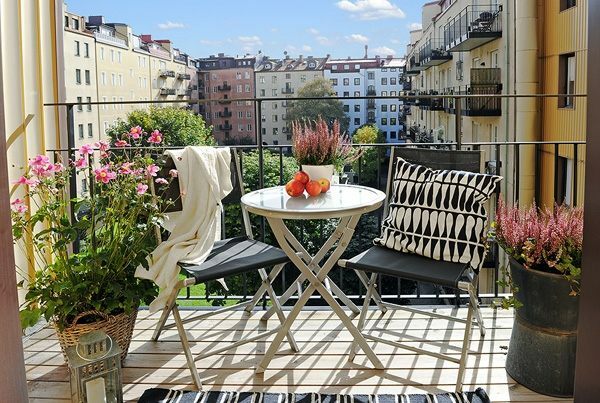 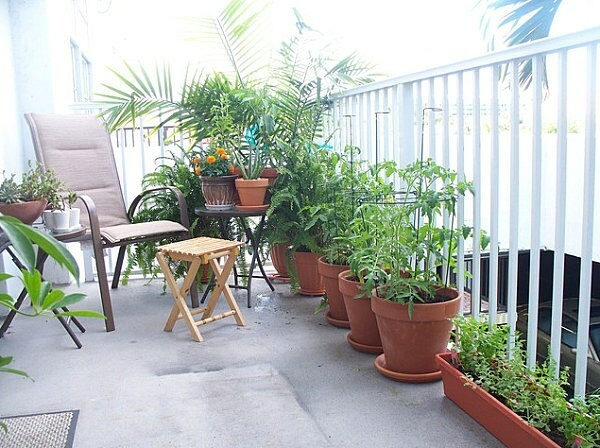 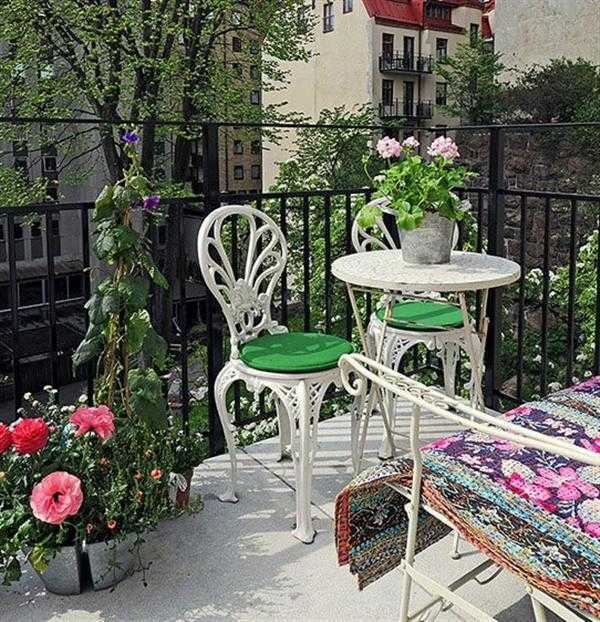 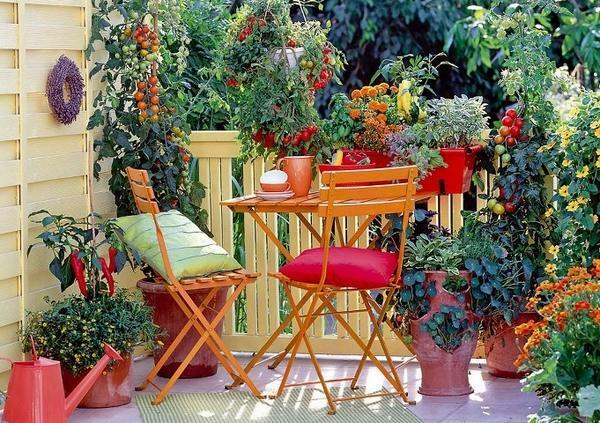 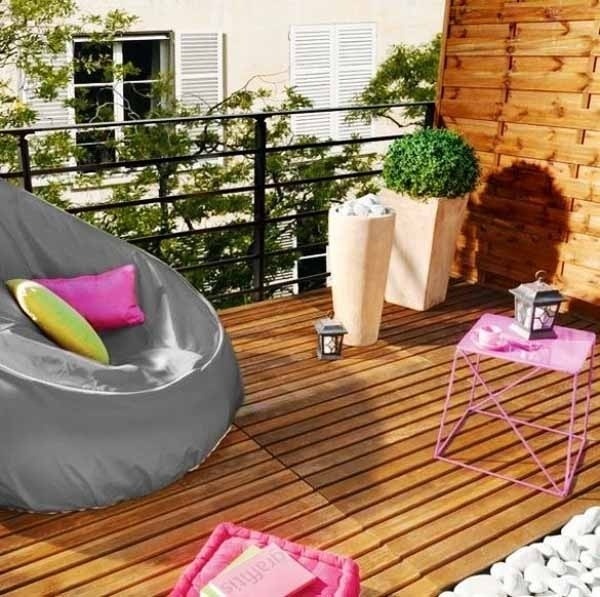 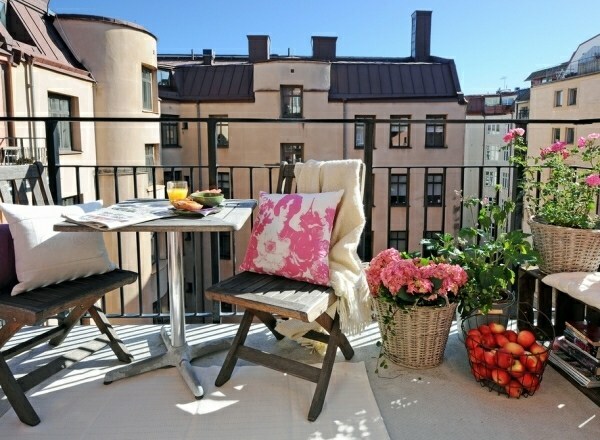 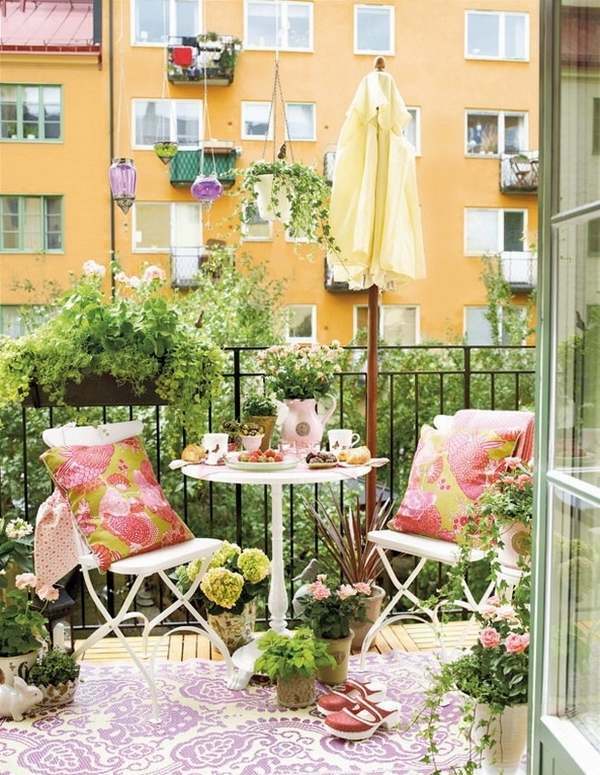 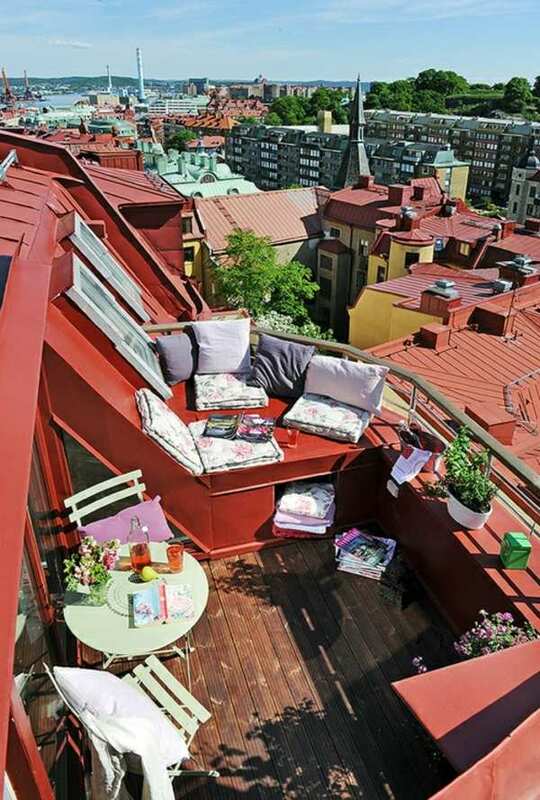 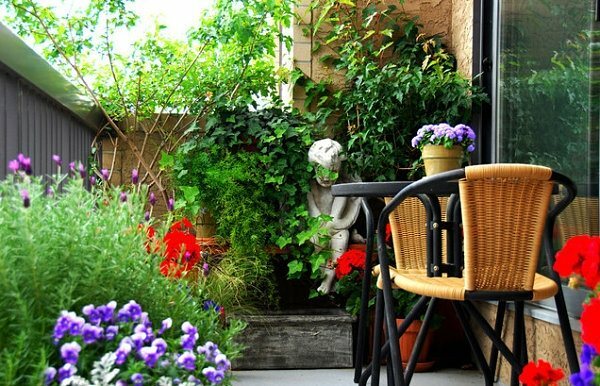 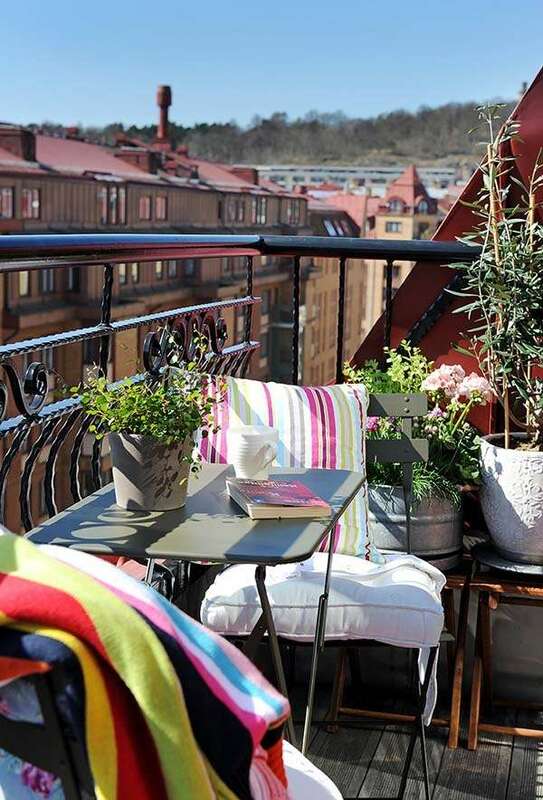 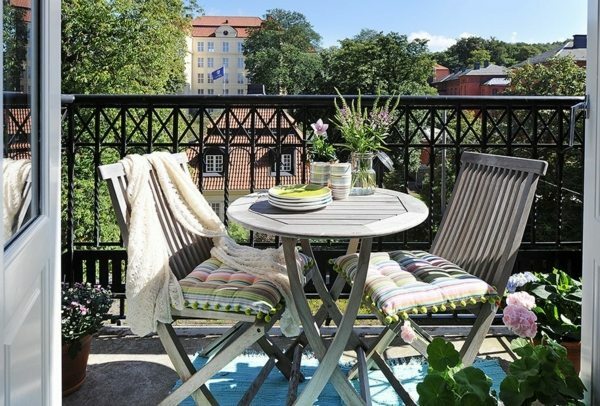 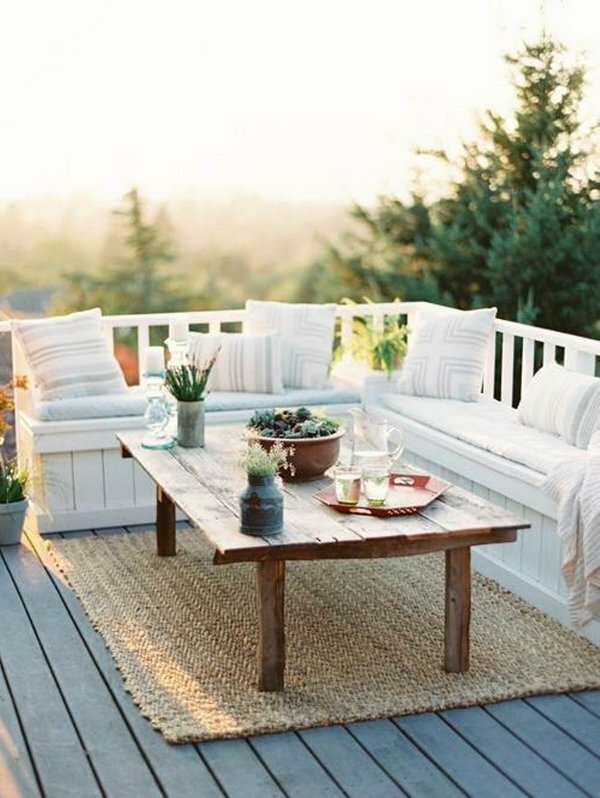 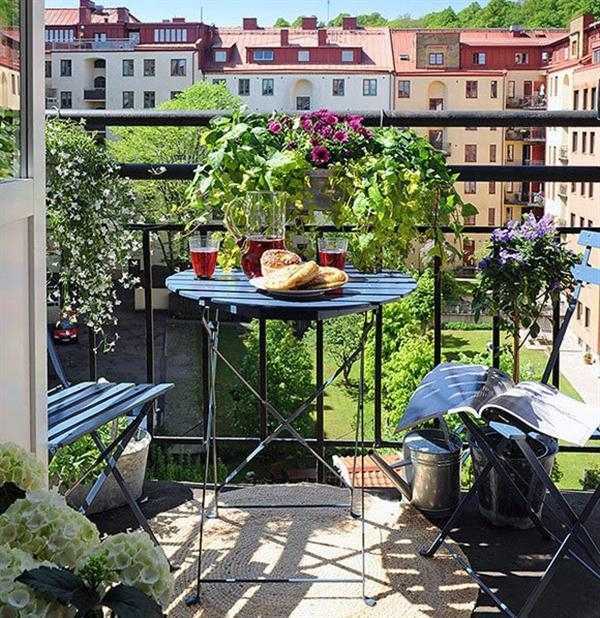 Decorate a small balcony with interesting furnishings, colorful patio furniture and plants. 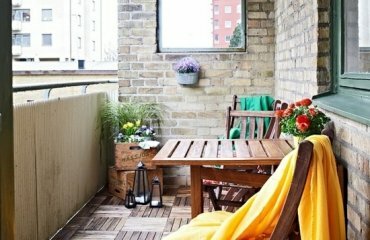 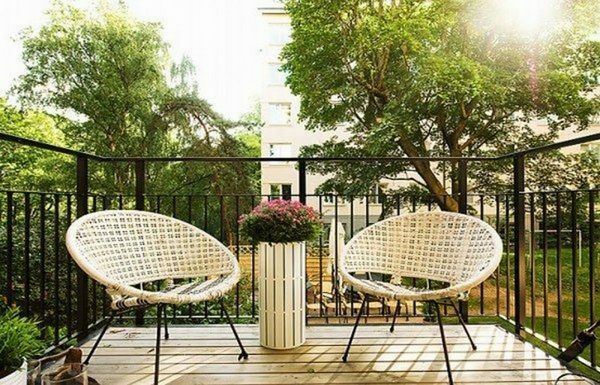 We give you some creative small balcony design ideas with tips on how you can save space and yet have a comfortable time outdoors. 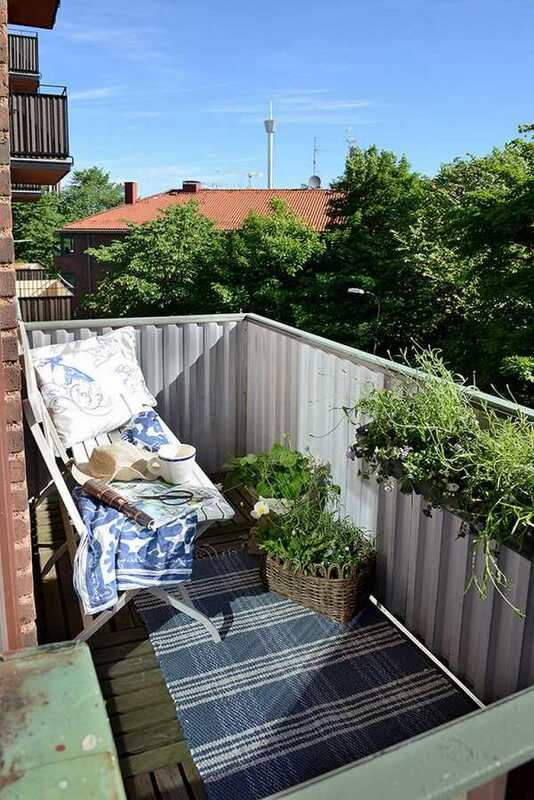 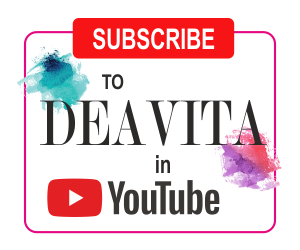 The available space should be creatively used by a clever layout and that is why we have collected original and helpful small balcony design ideas. 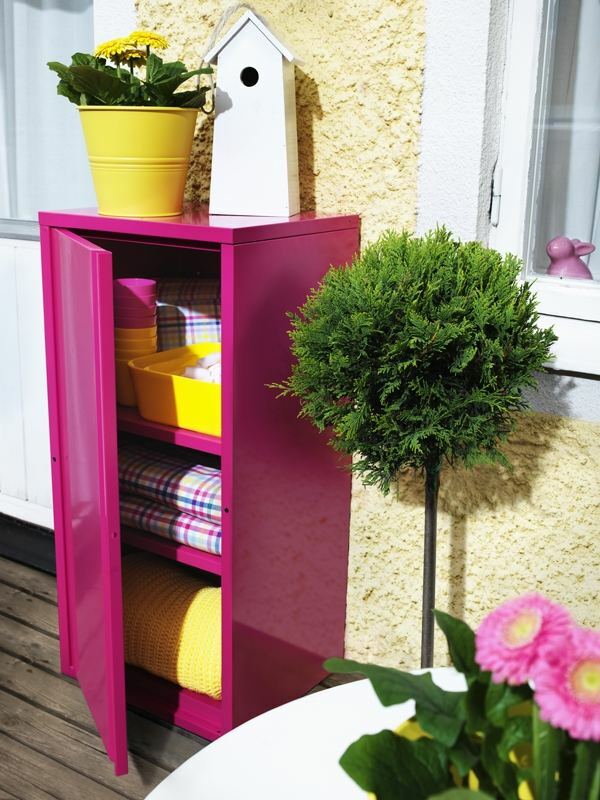 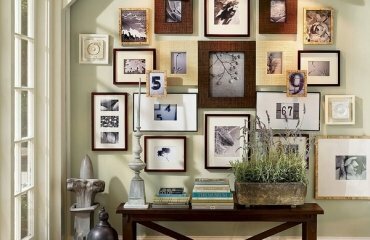 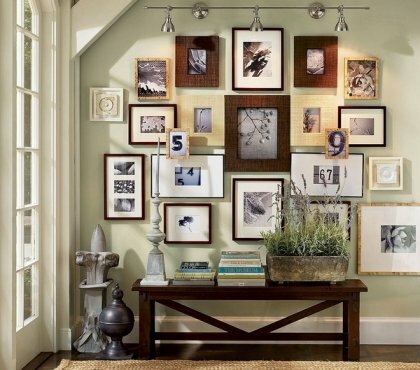 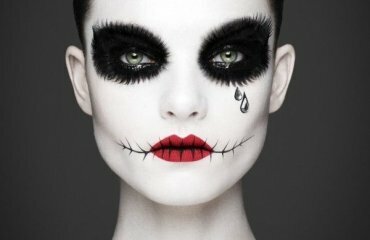 The necessary accessories can be arranged for example on a corner shelf. 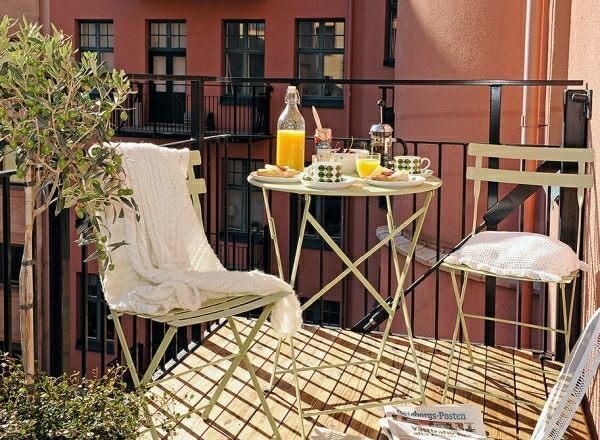 Folding chairs save space and offer some flexibility so you can always have enough seats for coffee with friends when needed. 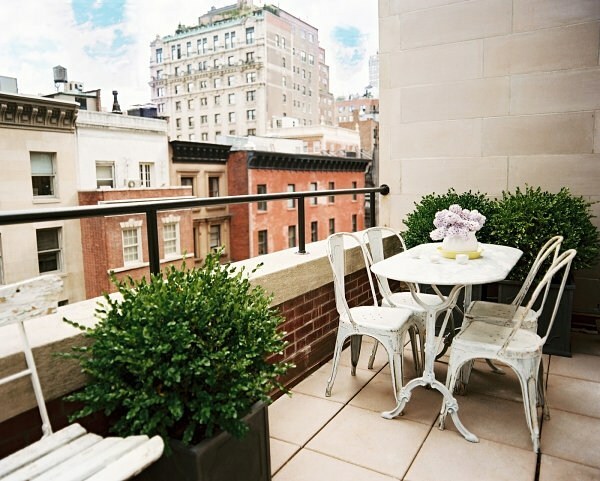 Tables, which are attached to the balcony railings, offer a nice alternative to the traditional models. 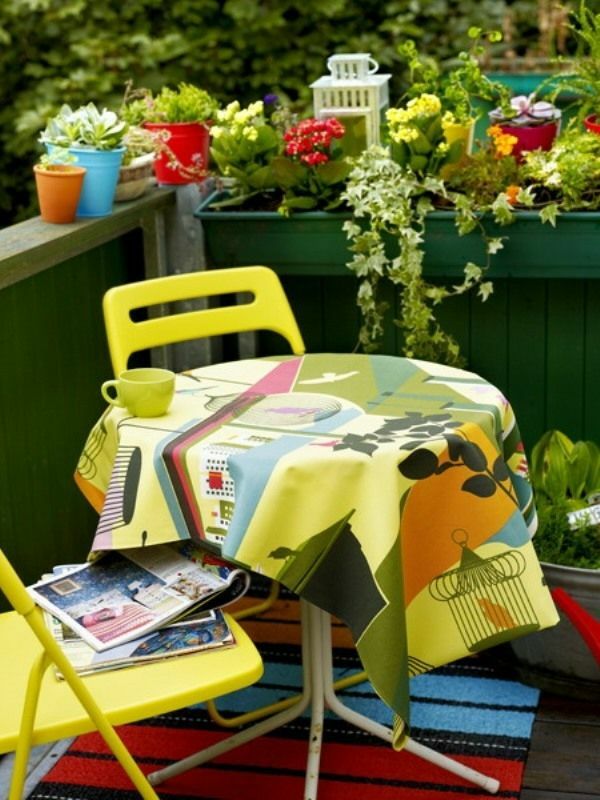 Folding tables are also a popular choice. 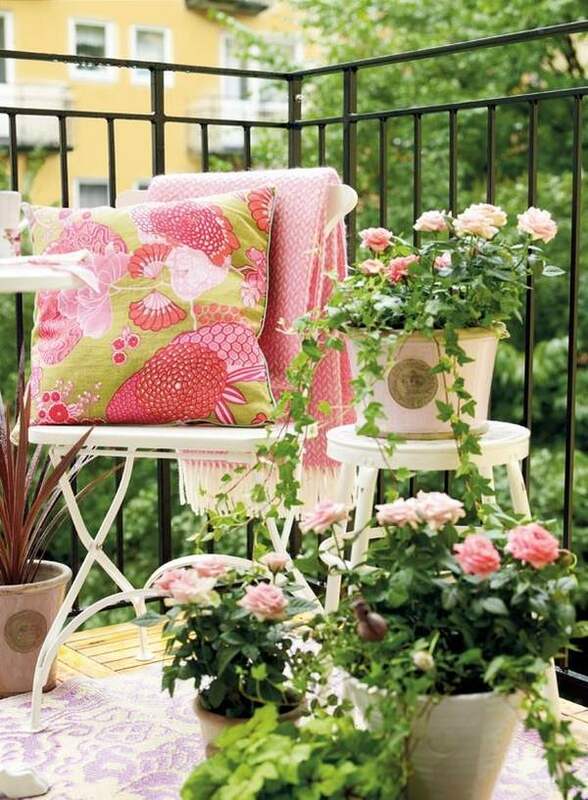 Even on a small balcony flowers and plants should not be missing. 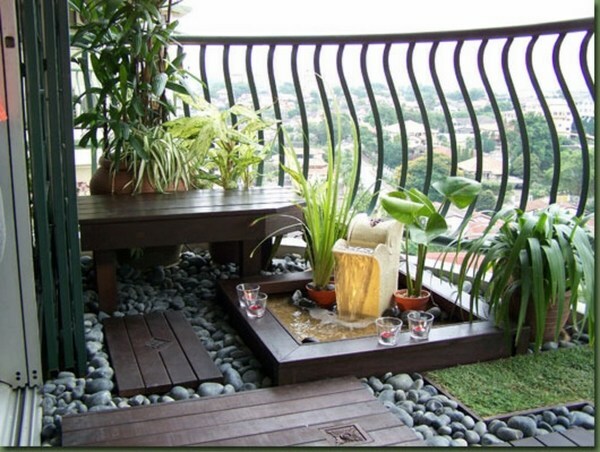 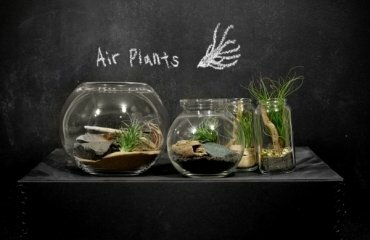 Instead of placing flower pots on the ground, you can attach planters to the railings, or let climbing plants grow on a wooden grid. 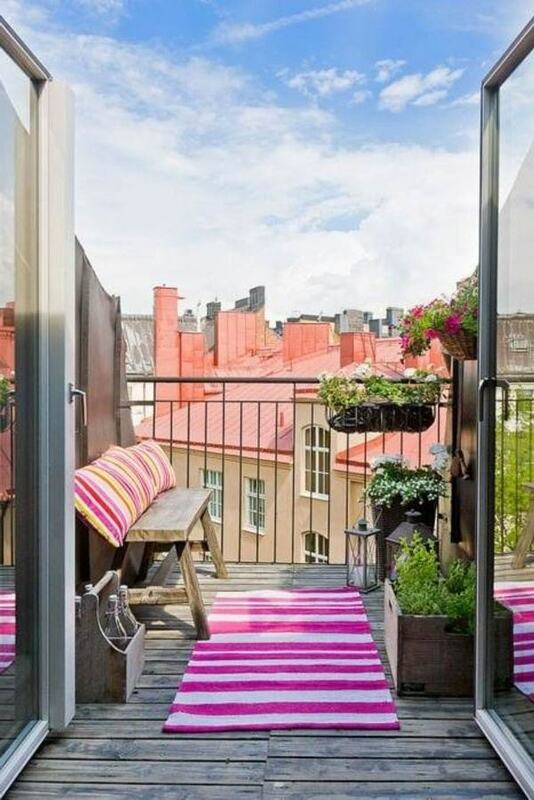 This will secure the windshield and privacy simultaneously. 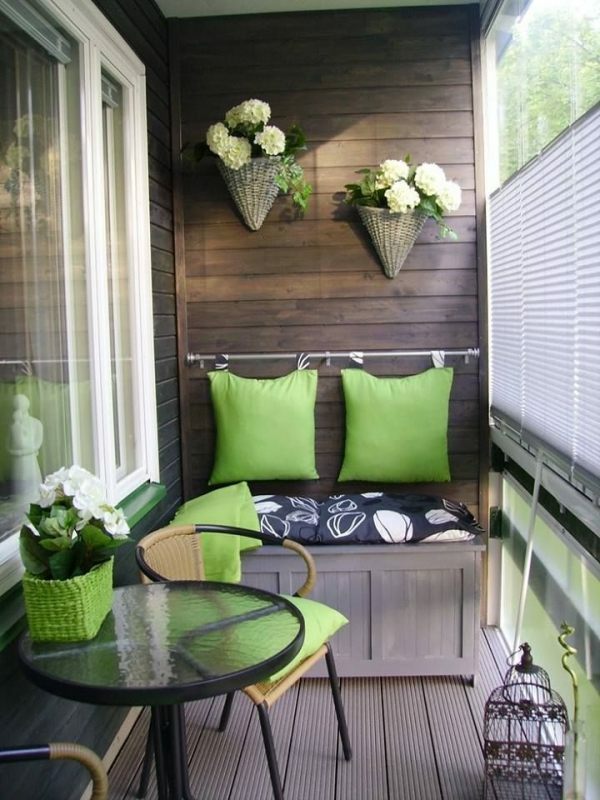 Hang flower baskets on the ceiling too. 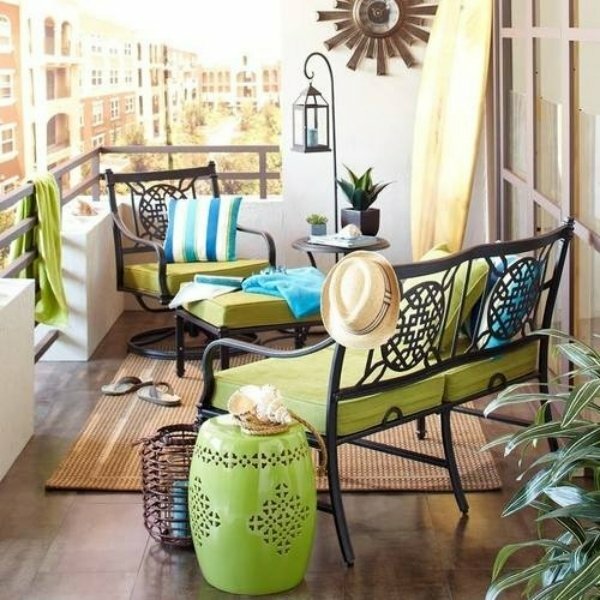 Hang lanterns as lighting, set flowers on the table or choose furniture in bright colors – they set the tone and make the balcony look larger. 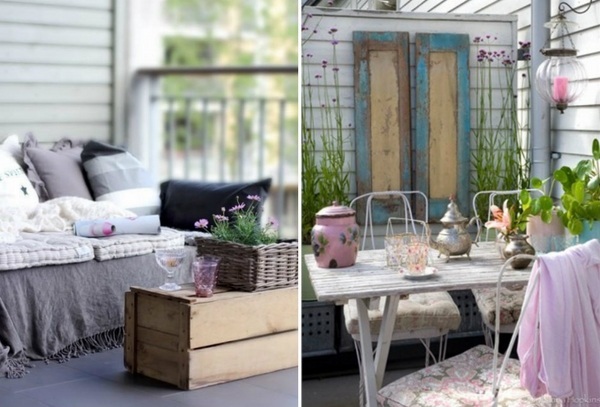 If you like traditional wooden or metal furniture, these can by interesting if you add decorative upholstery. 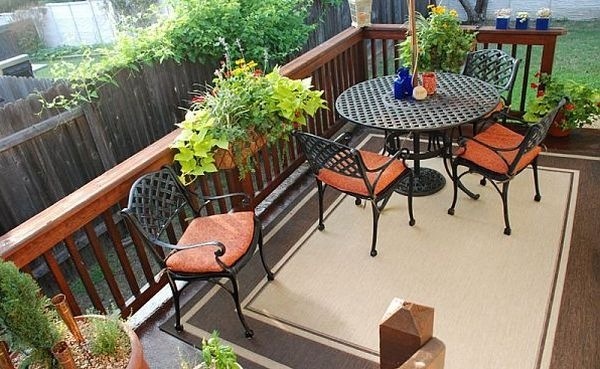 Select a runner carpet in accordance with the furniture color. 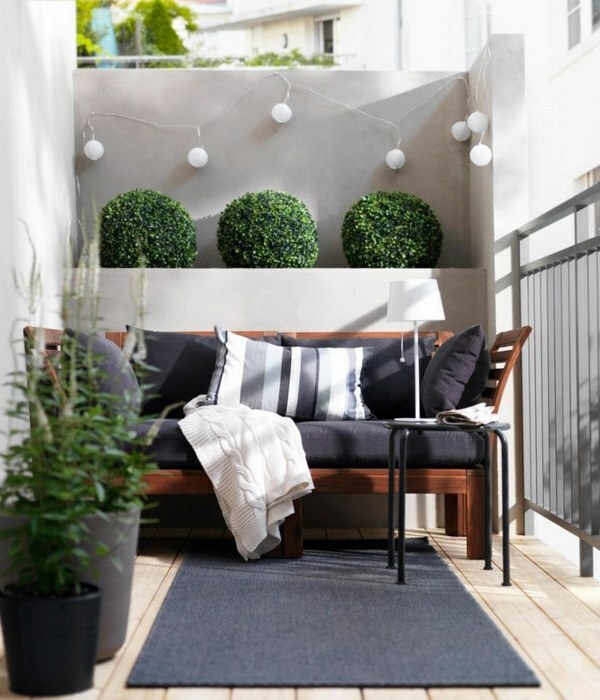 Small balcony design ideas will inspire you for the decoration of your outdoor and yet you should be careful although the temptation to use all kinds of decor might be really strong. 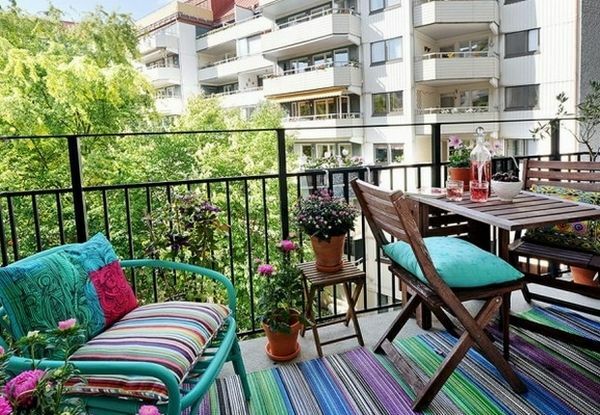 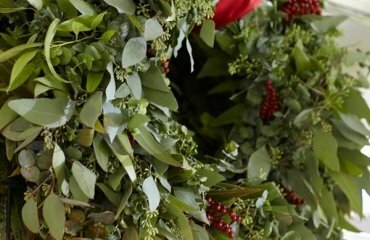 Remember that whatever you use on the balcony, it is not going to be hidden from view, especially when you are standing in the living room, too much decoration can interfere. 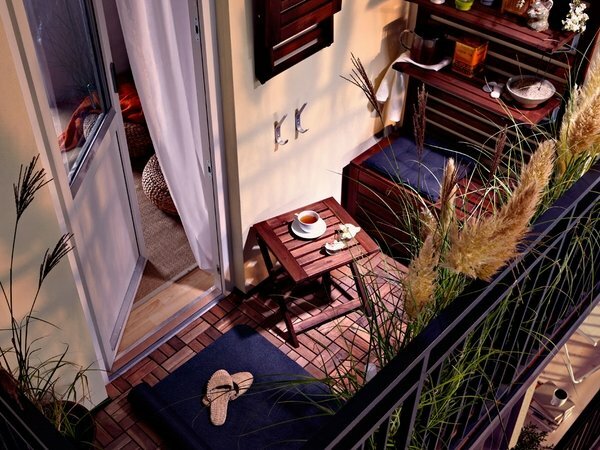 Be inspired by these proposals for small balcony and we wish you much fun with the design!